When I think of summer, a few things come to mind – heat, sleeping in, vacations, iced coffee and fashion. Yes, fashion. I love dressing for the summer season because to me it means I can wear all of those adorable dresses and skirts hanging in my closet. I kind of have a thing for them. So, when I teamed up with some fashion blogger friends and we were asked to share our top 3 must-have pieces for summer, I instantly knew what my three would be. My top 3 must-have wardrobe pieces for summer are: a versatile sleeveless shirt with a pop of color, a skirt that goes with everything and a big, very large tote bag. I wear dresses and skirts in the summer way more than I wear jeans and shorts. It gets very hot here in Austin and a dress or skirt is just more comfortable and practical for me. Plus, they just make me feel great. So a versatile skirt that goes with any color is definitely a summer must-have item for me. I can wear this skirt with wedges, heels, sandals and even my black sneakers! I have created so many outfits with this one skirt. When it comes to my favorite color to wear in the summer, it is with-out-a-doubt PINK. Any shade of pink. I purchased this top at Charming Charlie on Black Friday for $5. Yes, $5! It’s the perfect top for summer because it’s sleeveless, it’s very lightweight, it goes with skirts, shorts or denim and it’s pink. If you’re struggling to put together an outfit in the morning, just grab your favorite top with a pop of color, put on a pair of your favorite jeans or shorts, throw on some sandals and you’re good to go! Last but not least, a large tote bag that goes with everything is a must-have for summer. It’s perfect for loading up for a trip to the park, pool or a day of sight seeing. I can put magazines, books, snacks, a cardigan, sunglasses and even a hat in this tote bag. And believe me, I’ve probably at one point had all of those things in my bag – at the same time. 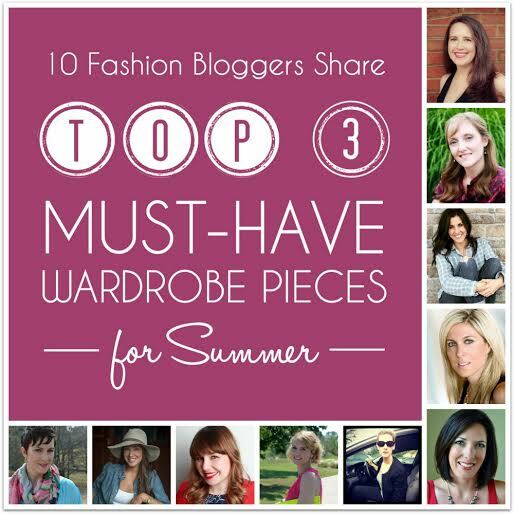 Would you like to know some other wardrobe must-haves for summer? Check out my fashion friends below to see what theirs are. I know you’ll walk away with some fantastic ideas! Do you have any summer must-haves? Let us know what yours are. I would love to hear! Great picks! I love a good deal like that top too. I almost added tote to my own top 3 items. Thanks Vicky! I loved your top 3 picks! Great choices, my bag always gets bigger in summer too, so much to take with me it seems. 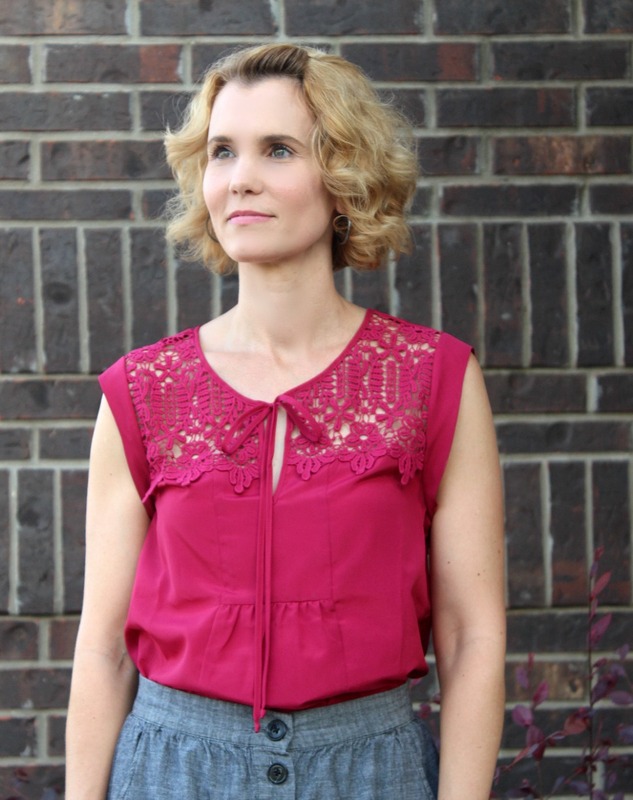 I love a great pop of pink, that top is adorable! How cute is that skirt?? What a great summer staple! I love this Julie. That top and skirt is fabulous. I had a skirt similar and gave it to my friend, can I get it back /LOL!! Agree totally on the big hand bag as well. Great looks!! Amen to the VERY large tote bag. I have two..and I manage to fill BOTH all summer – one for my everyday stuff and the other for all the pool/beach gear! You look adorable. as always.